We have with us extensive experience in successfully handling the emerging demands of wrenches. The range offered by us under this category include Hex Key Wrench Sets that are available in tool preset of 9 pc in sizes of 1.5, 2.0, 2.5, 3.0, 4.0, 5.0, 6.0, 8.0, 10.0mm and 1/16", 5/64", 3/32", 1/8", 5/32", 3/16", ÃÂ¼", 5/16", 3/8". 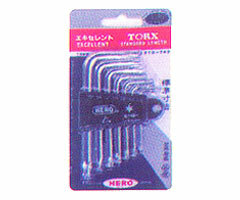 Other than this, the Torx L-Wrenches offered are available standard and temper resistant finish in types T10, T15, T20, T25, T27, T30, T40. 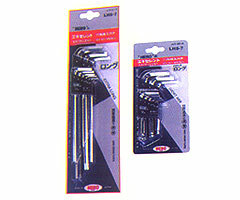 9pc Extra Long Ball Point Hex SAE 1/16", 5/64", 3/32", 1/8", 5/32", 3/16", ÃÂ¼", 5/16", 3/8"
We offer Air tools of Sumake brand. 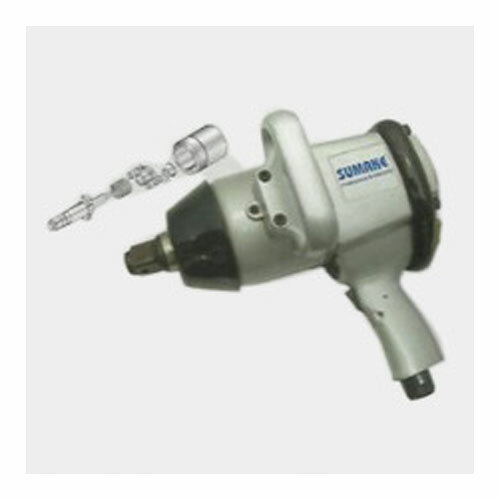 The company is a leading and well recognized manufacturer and exporter of Air Tools that find usage in industrial and automotive applications. All the tools offered are made to undergo extensive research that allows in them optimum functionality values as well as energy efficiency. Further, these tools are also backed by certifications like CE, ISO 9001 and others, thus assuring customers of their superior finish quality.